Need to receive text messages online? We’ve got you covered. Our technology allows your inbound messages to instantly hit your Sendmode account. Receive replies from your customers directly to your Sendmode account. From there we can forward automatically to an email address or mobile number provided. Fully automated and works totally seamlessly. 2 Way SMS is a powerful way of communicating and building relationships with your existing customer. 2 Way SMS allows you to keep in touch with prospective customers that have responded to your campaign, while engaging with leads in real time conversation. We offer a range of number options for receiving text messages from your customers, staff or members. Including shared and dedicated numbers, 5-digit (short) and 11-digit (long) and free text inbound numbers. We’re all about making things fast and easy to use. 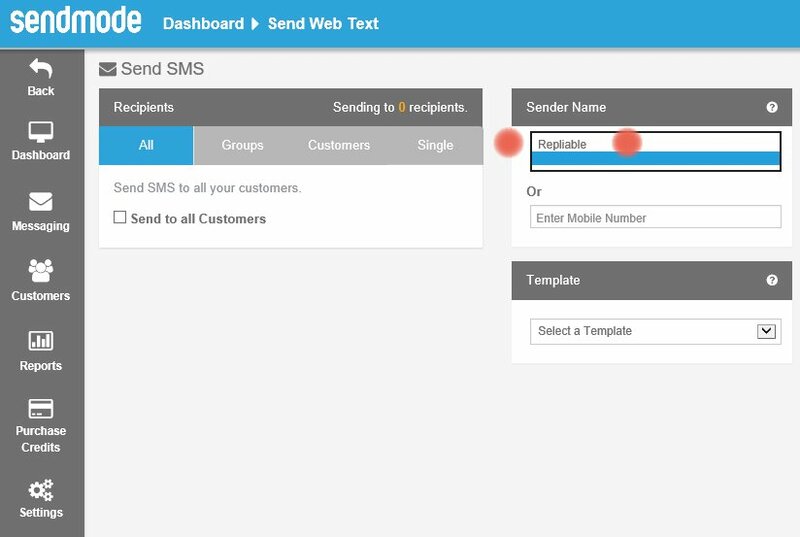 To enable 2 way SMS choose Repliable when sending out your messages. See it marked in the image below. "Repliable, or 2 way SMS, is invaluable to us as we need responses from parents quickly when events occur such as school closures due to bad weather." "Every time I send a message out using the Repliable feature, I get customer replies instantly send back to my phone. A great feature." "An awesome feature to get instant feedback from customers. We send our campaigns and invite customers to reply with orders. They come straight into our email system instantly. Fantastic."